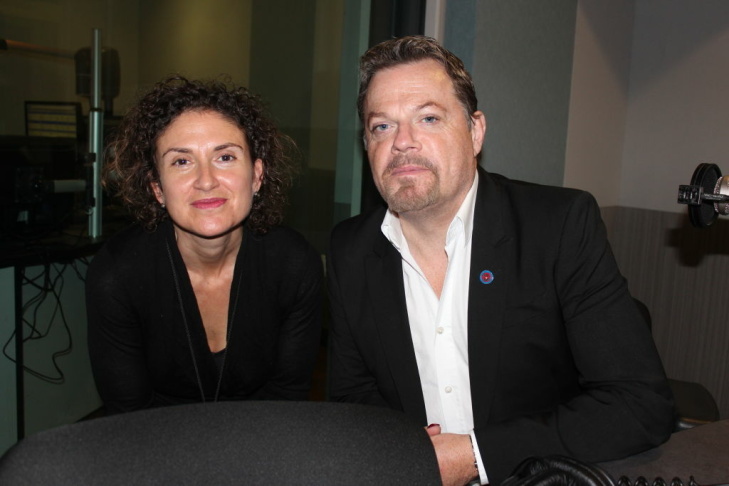 Alex Cohen and Eddie Izzard in the Take Two studio. 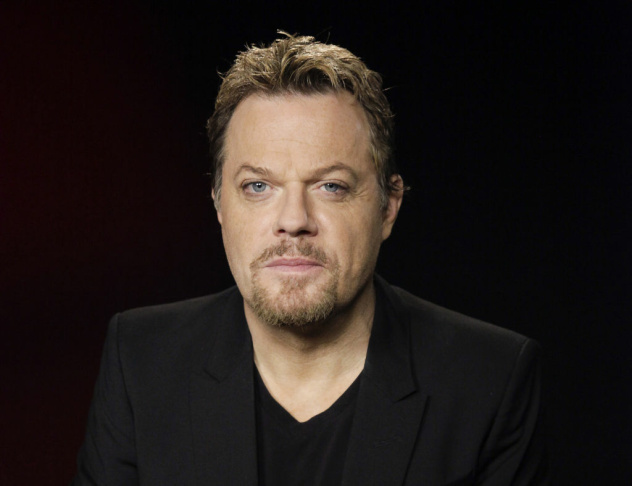 English stand-up comedian and actor Eddie Izzard poses for a portrait in Los Angeles on Monday April 30, 2012. Promotional image for Eddie Izzard's show at the Trepany House at the Steve Allen Theater in Los Feliz, Calif.
Comedian Eddie Izzard has been the headline act at the Hollywood Bowl and he's packed the house at Madison Square Garden, but now you can see him at a tiny, 90-seat theater in Los Feliz. Izzard joins the show to talk about why he's performing in such a small space, and to fill us in about his new show, "Force Majeure," which he'll be taking on the road in Europe next year. 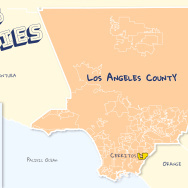 For being so popular why are you currently performing at such a small theatre? How do you usually come up with this new material? How do you prepare for the shows? Sometimes you seem to be writing things down mid-show, are you really taking notes? Are your shows very different from night to night? A lot of your shows seem to appeal to American sensibilities, how do you tweak them to be international? Do you plan out how to end your shows? 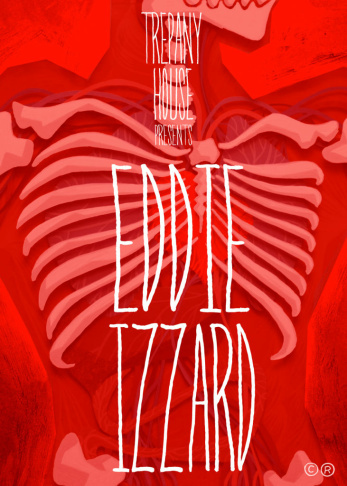 Click here to purchase tickets to Izzard's show.